The scientific committee of the 5th World Congress on Targeting Microbiota discerned the ISM oral communication award to Dr. Clarissa Consolandi, from the National Research Council, Italy for her presentation about "Exploring the gut microbiome role in Parkinson’s disease and in primary parkinsonisms". Testimonial from Dr. Consolandi: "It is a great honor for me to be awarded by the ISM. My work was about the study of the gut microbiome (GM) role in Parkinson’s disease and in primary parkinsonisms. Our results showed a considerable altered GM profile in patients compared to their co-living healthy controls with an evolution of the microbial profile visible during the progression of the disease. So, specific microbial groups could be used in the future as fingerprints of the disease progression. In addition, the preliminary data collected from the twins dataset could also provide key information on the risk factors for the development of the disease, since they share most of the key factors that determine the composition of GM in the early stages of life and this model is devoid of bias due to genetic variability. 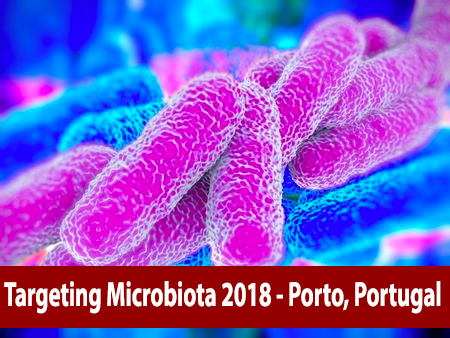 Targeting Microbiota Congress represents a great opportunity to exchange ideas with the leading scientists and share the latest developments in the field, providing chance for brainstorming also during breaks and poster sessions." 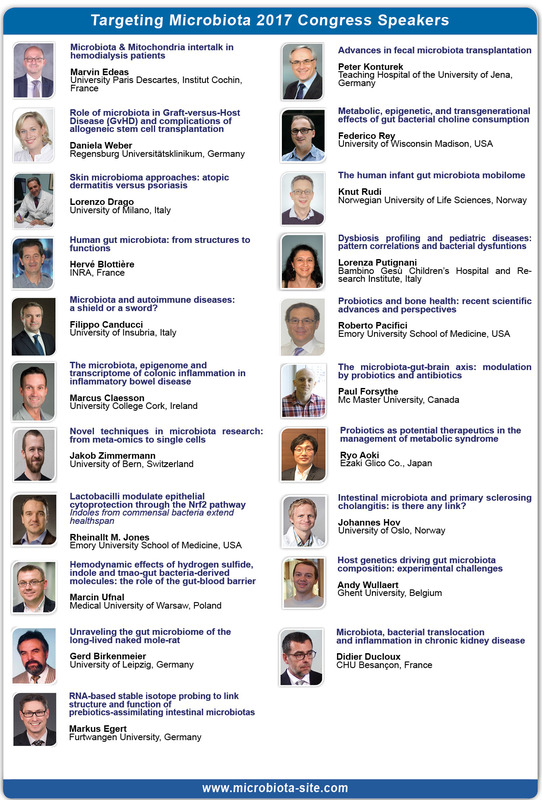 To access the global report of Targeting Microbiota 2017, please follow this link.